Fiona Cross is one of the leading clarinet players of her generation. She combines chamber music with a solo career and playing guest principal clarinet with all the leading British orchestras. 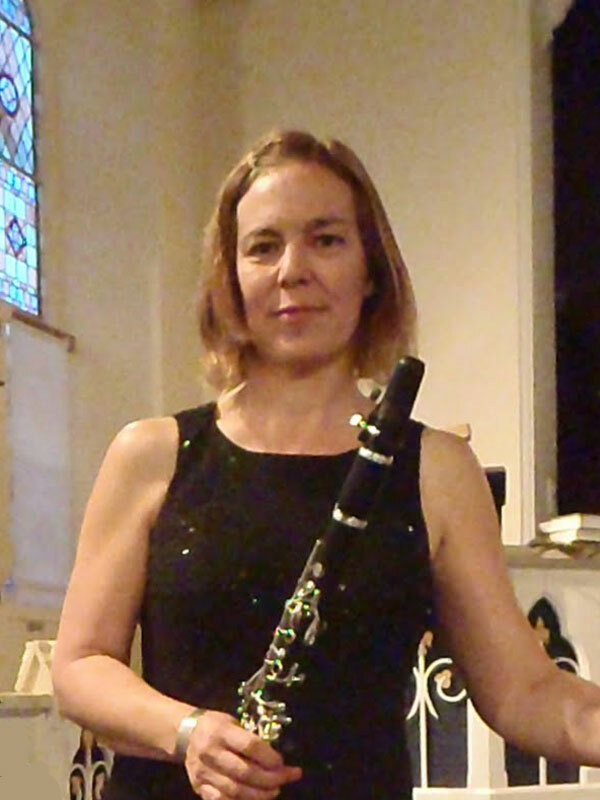 She is principal clarinet of the Manchester Camerata and joint principal clarinet of the Brighton Philharmonic Orchestra. She has performed concertos with the London Philharmonic Orchestra, the Bournemouth Sinfonietta, Manchester Camerata and the English Sinfonia. She has performed chamber music with various ensembles including the Vanbrugh and Alberni string quartets, Kegelstatt Trio, New Music Players, LPO Ensemble and Adderbury Ensemble. She was also invited to perform chamber music with Andreas Schiff at his festival in Weimar. Fiona has recorded the Lefanu Concertino for Naxos, the Horovitz concerto for Dutton, the Simpson clarinet quintet for Hyperion and a virtuoso CD of clarinet and harp music for the Dinmore label. She takes a keen interest in promoting new music, and has commissioned many new works for clarinet and piano and clarinet and harp. She has given many recitals in all the major venues in Britain, including London’s South Bank Centre, as well as performing in many of the established music clubs and festivals. She is a professor of clarinet at Trinity College of Music, London.